I usually come to visit a coffee house where I can feel the flavour of a cup of hot coffee and then take my laptop out with a little bit music from my smartphone to enjoy my work. But the thing is a coffee house is where people chill out and talk, not a right place for workaholics. I also see many people come to a coffee shop and try to focus on their current work but the sudden noise with high frequence can prevent them and me from concentrating on work and study. So in the long term, coffee sites never work in this case. 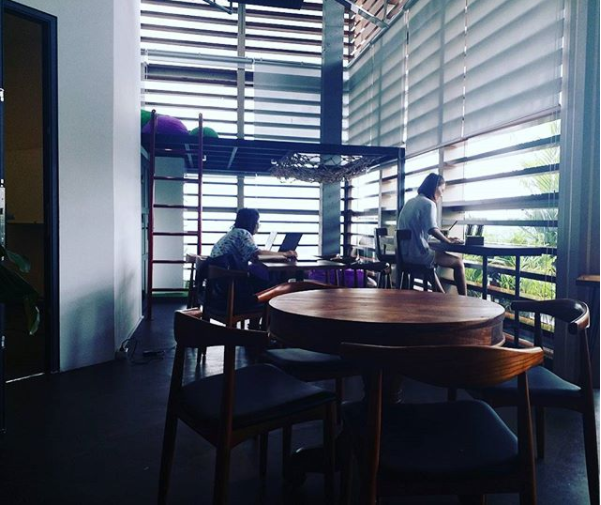 A couple years ago, I found out a business model named coworking space that is prevalently scaled all over the world and in Vietnam it is also known widely in entrepreneur society as well as young people like me who would love to find an inspiring and active place to connect people and focus on producing our own products. 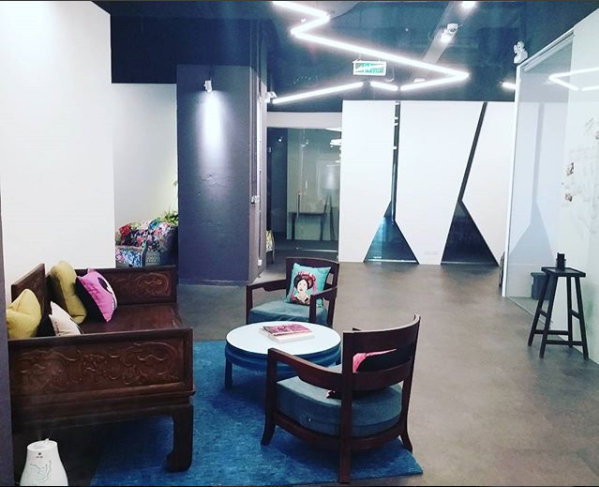 2 years ago, my boss shared an article written about a coworking space in Hanoi. It attracted 1 milion USD from investors, from that I had a chance to know the founder and CEO of this interesting company. He is Mr Duong Do, a son of Hai Phong city, who founded Toong and called 1 milion USA successfully from investors. He graduated from a university in Netherlands with Marketing degree. After that he came back to Vietnam and worked for a cinema company with a humble salary level. 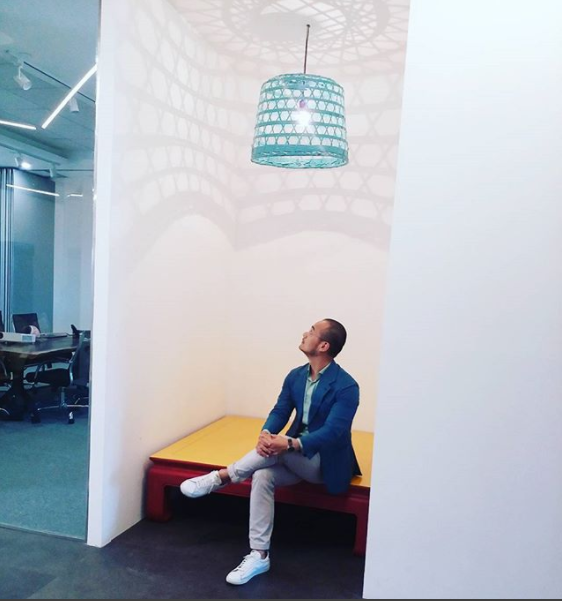 In 2015, he quited a job in Richards Moore to build a coworking space with other friends. It was regarded as a turning point in his life. I knew Mr Duong 2 years ago but didn't find a chance to meet him in the real life until I got a job at his company one week ago. The thing is the headquarter of Toong is in Hanoi and I am working in Ho Chi Minh city at Toong Oxygen station. So I willnot have a chance to meet him often but luckily last week Toong Oxygen had a huge and important event that marked the partnership between UOB and Toong, so Mr Duong had a flight to Saigon and then I had a chance to meet him last Thursday, shared 2 lunches with him and other colleagues. Hearing his stories is one of the most priceless gift that I have ever had. 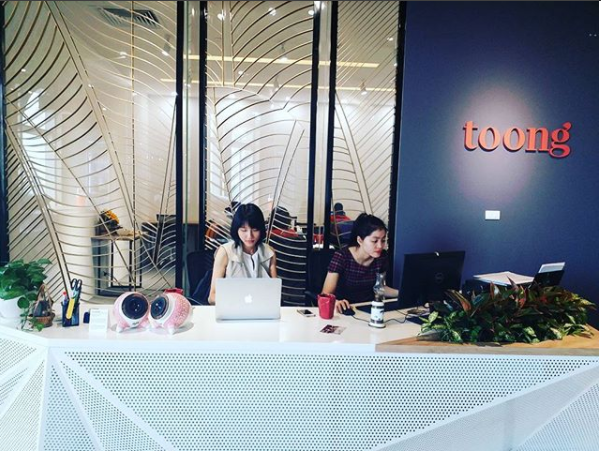 Toong is the first coworking chain in Vietnam. It has 3 locations: Hanoi, Danang and Saigon. The most special thing about Toong is in each location Toong bears its own Vietnamese soul that is shown in every decorated detail and the particular architecture that boasts the traditional and modern ways of Vietnam. At Toong Oxygen, I work with a group of 7 people and they are older than me from 4 years older and more than that. I am the youngest one that lacks experience in Marketing. Toong Oxygen has 2 wings, last week I worked in Wing B and this week I worked Wing A. Let's take a look at Toong Oxygen to see it is so awesome. 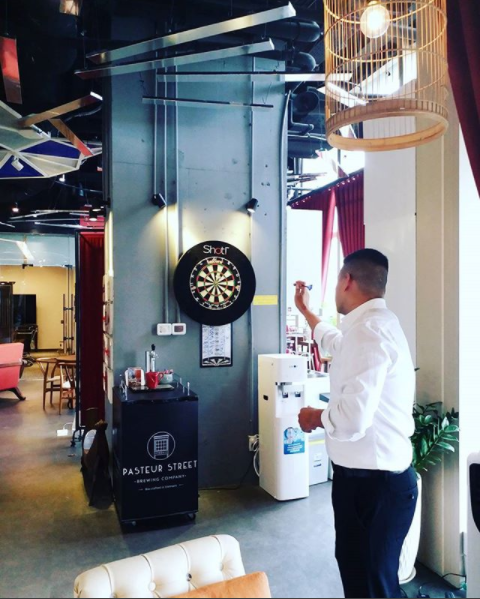 Every Friday after at 5 PM, we often have Happy Hours when all of Toong members gather together to enjoy games, talk and make friends with each other. It is the most exciting moment because only 1 hour relaxing you can interact and create network with so many people. 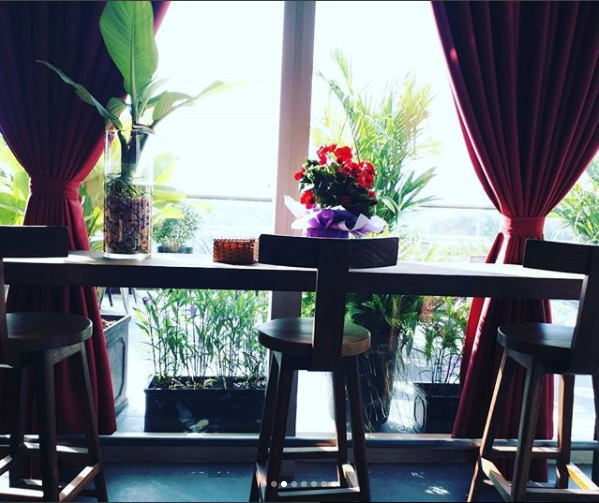 Happy Hours also plays a crucial role in defining the vibe of Toong and bringing people together. They share ideas and difficulties with people around and then get help from others' advice. 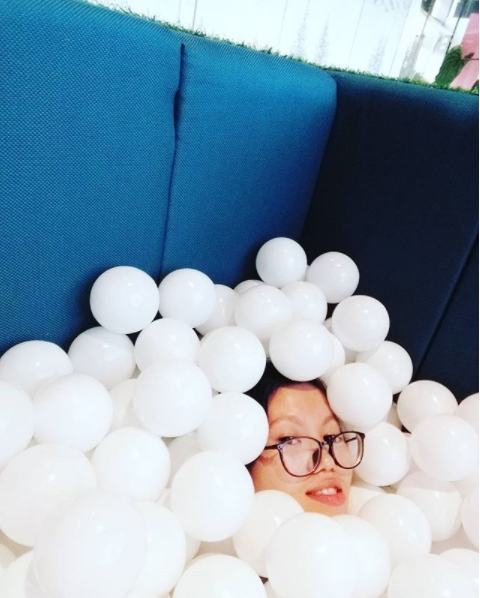 Coworking space helps people not to feel alone when they get stuck in work. 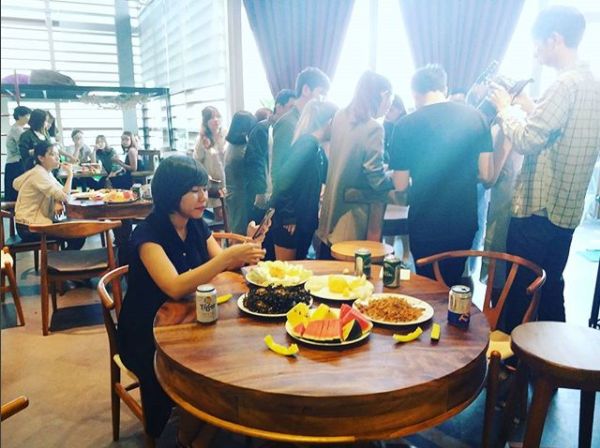 Sometimes, Toong also organises events and weekly meet-ups that members of Toong and outsiders can join to gain knowledge and network. It is the best way to create intense relationships as well as give birth to new and incredible ideas. For example, the first day at Toong I had a chance to know at least 10 people. They worked in different business fields and I opened my mind a lot from hearing their stories. I love noise and at least when I raise my head to look around, I see so many people sitting here and there, I am inspired by them and motivated by the busy ambience. Sometimes when I get a cup of coffee, I come cross with a stranger and then we smile at each other, introduce ourselves. We always need time to warm up new relationships and we also need time to interact with people to know more about them. So many people know the way to communicate but not many people know how to maintain relationship. So coworking is the right place for everyone to open up and have a chance to practise communicating and creating network. At Toong, people regard each other as partner/ friend so I feel comfortable like at home. Come and enjoy your work at Toong.